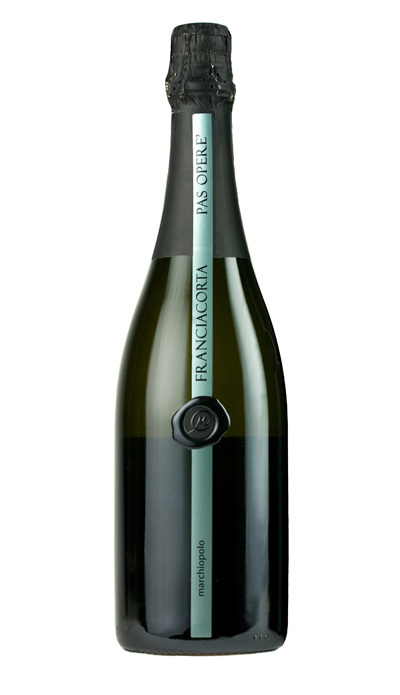 Franciacorta Pas Operé hails from the same terroir and grapes as the Brut, but is the result of a different cellar process. It is aged on the lees for 46 months before disgorging and no liqueur d’expédition is added, thus preserving all its original qualities and heightening the classic yeasty “crusty bread” aroma. The nose offers rich, fruity grassy notes that mingle with the bready bakery aromas, while the palate is very dry but not harsh, with good balance and length. Yellow-greenish colour, good intensity, persistent and fine pérlage. Fruity and grassy scents, together with a mellow backery fragrance. Very dry even not aggressive, recalls the whole memory of its evolution. Continuous, balanced and persistent.